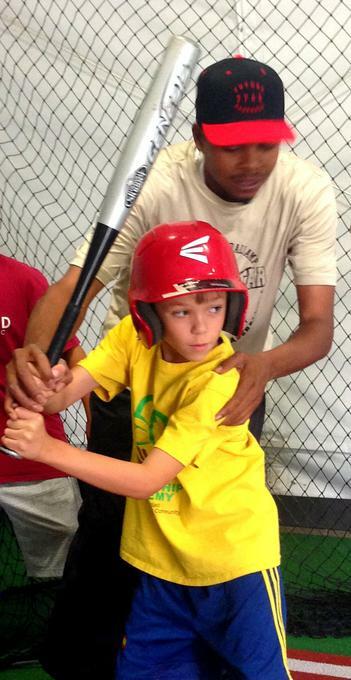 Future Star Baseball specializes in coaching players of all ages to improve their hitting, pitching and mental approach to the game. With our state-of-the-art facility, including tents, batting machines and cages, our coaches can provide top quality individual attention to help your little league or middle or high school player achieve better results on the field and off. Ben Mangan didn’t’ start playing baseball until he was 11, and, according to him, he was the worst on his little league team. But, with a little determination and lots of practice, Ben became an all star by the following year. In high school at Bishop O'Dowd he led the league in RBIs as a hitter and wins as a pitcher. He was all-league player twice, and runner up for Player of the Year before moving on to play for the UC San Diego Tritons. After a successful freshman season where he lead the team in saves, an injury to his pitching arm (MCL) plagued the rest of his college playing career, but did not lessen his intense interest in baseball. Time off the field let him sit back and study the mechanics of the game, and further focused his attention youth fitness and injury prevention. Ben spent several years teaching in Oakland at the old Carter Middle School (where the Ricky Henderson Baseball Field of Dreams is now located). While there, he won a Governor’s award for improving academic achievement and a Prudential award for being "a truly exceptional teacher." As Ben’s private weekend coaching sessions became more popular, he invested in professional training equipment. 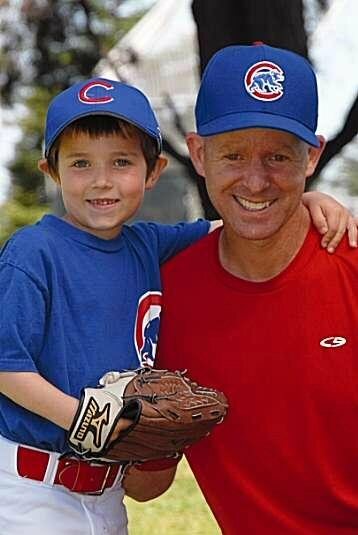 He retired from academic teaching to focus on baseball, fitness and the confidence and leadership that comes from those endeavors. Success in this area speaks for itself as he has guided players from little league onto high school teams, through the college recruitment process, and all the way to the MLB major league draft. Jeremy has a long history of successful coaching. He learned the subtleties of the game at an early age and always shared tips with teammates as a kid. A natural coach, he took coaching positions for NOLL Seniors, as well as the North Oakland Smoke in the Connie Mack league. In 2003 he began coaching at the high school level in Washington state, advancing his teams at Tumwater, Black Hills and Steilacoom High School. Jason Young, a pitcher who played with Colorado Rockies, was one of several young stars Jeremy helped to advance. Jeremy also game coached Jon Baker who was drafted in 2002 by the Oakland Athletics and was mentioned several times in Michael Lewis' 2003 book Moneyball. Perhaps most famous person Jeremy has coached was Andy Samberg, who never played a single pro game, but has starred on Saturday Night Live for several years. Perhaps that is where Jeremy picked up his great sense of humor. awarding him the "Newcomer of the Year". program that developed young athletes in preparation for competitive regional middle and high school leagues in the area. His Gresham Park Reds team was ranked #1 in the nation, winning state championship and the Georgia USSSA World Series in 2006.
the baseball diamond. In recent seasons he's even helped staff and managing coaches for the SF Giants youth baseball camp. You may cancel a lesson up to 24 hours in advance for any reason. If your child becomes sick or injured on the day of a lesson, you can also cancel without penalty. Missed or canceled lessons with less than 24 hours notice require full payment. "I think people don't realize how profound an effect the game has on character. What I see good coaches doing with young players on the field is showing them how to learn, learning about situations, learning about anticipation, learning from mistakes-- this game is deep-- "